'What you do to children matters. And they might never forget'. Sweetness wants to love her child, Bride, but she struggles to love her as a mother should. Bride, now glamorous, grown up, ebony-black and panther-like, wants to love her man, Booker, but she finds herself betrayed by a moment in her past, a moment borne of a desperate burn for the love of her mother. Booker cannot fathom Bride's depths, with his own love-lorn past bending him out of shape. Can they find a way through the damage wrought on their blameless childhood souls, to light and happiness, free from pain? 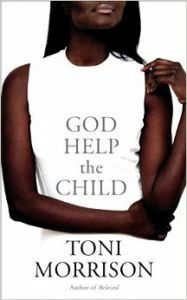 Toni Morrison's fierce and provocative new novel exposes the damage adults wreak on children, and how this echoes through the generations.